MBA from the Mays Business School new marine engineering apprentice- at Texas A&M University. 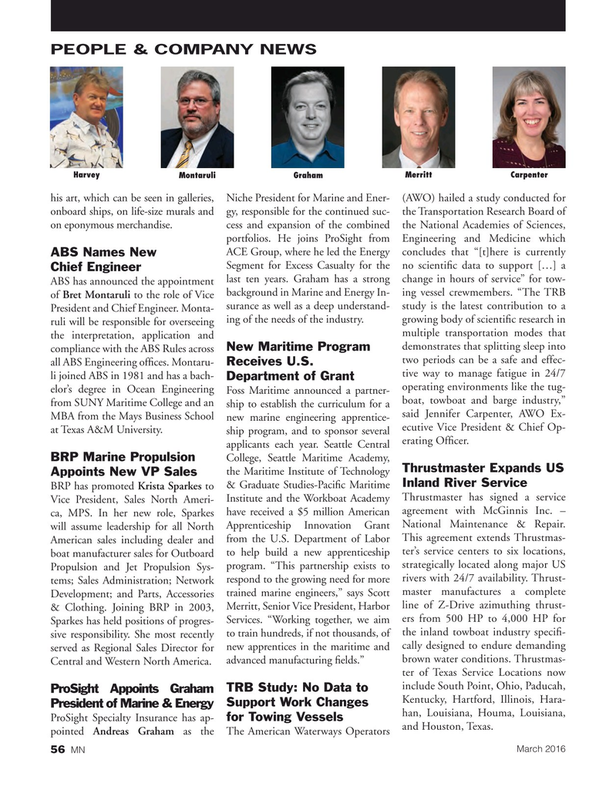 ship program, and to sponsor several ecutive Vice President & Chief Op- applicants each year. Seattle Central erating Of? cer. Vice President, Sales North Ameri- ca, MPS. In her new role, Sparkes have received a $5 million American agreement with McGinnis Inc. – will assume leadership for all North Apprenticeship Innovation Grant National Maintenance & Repair. Central and Western North America. ProSight Specialty Insurance has ap- pointed Andreas Graham as the The American Waterways Operators and Houston, Texas.